Clearwater Police are currently investigating after a worker died in an incident at 25 N Belcher Road. 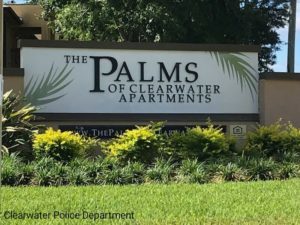 The incident occurred at the The Palms of Clearwater Apartments at approximately 9:30 a.m. on Monday, April 15, 2019. 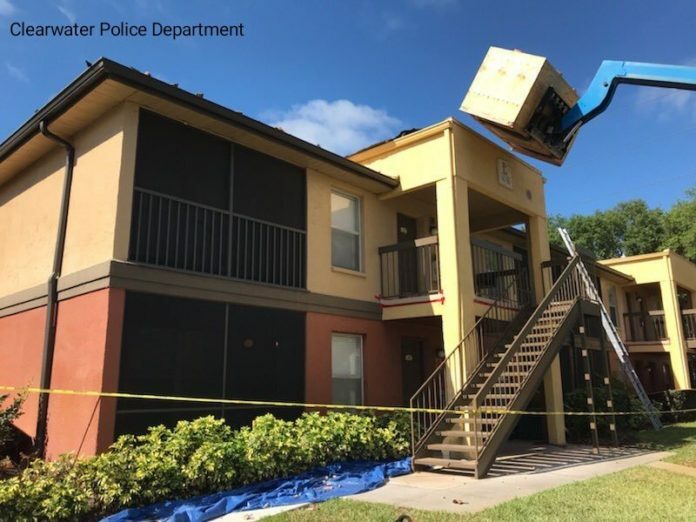 According to the Clearwater Police Department, the preliminary investigation appears to show a worker died after falling off a second-story apartment building. 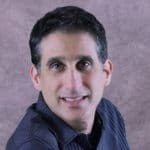 crew at the apartment complex, died at the scene. The victim has been identified as Carlos Alejandro Hernandez-Nopaltecatl, 28, of Zellwood. The fall occurred from the rear side of Building E. Clearwater Police homicide detectives are on scene conducting a death investigation.